Van transporter t28 Startline 2.0 TDI 2014 reg only 78000 miles! Mot Oct 2019 just had recent service inc cambelt ! And new brakes all round! In very good condition throughout! Hpi report. In the rear it benefits from 12 volt led lighting, fully carpeted, heavy duty Campervan flooring, and a side window! 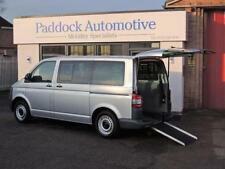 volkswagen T5 van 2011 in very good condition with low miles. 70,000. The van is ready to be converted further into a people carrier of a camper or be used as a van?. Its the face lift 2.0 diesel with 167 bhp so goes really well and pulls like a train. It has 20" alloys with perelli tyres which are hardly used and had coilovers fittited which could be lowered more or in my opinion are just right as it can still be used as a van. Transporter t30 2008 ,2.5l ,6 speed manual. covered 139k miles with full history ,new clutch ,4 new tyres ,fully ply lined. 2010 VW t5 kombi transporter. sportline alloys (bought new last year). This van is top spec with the following extras. flat bottom multi function steering wheel (paddle shift needs programming in). roof sprayed gloss black. VOLKSWAGON TRANSPORTER TRENDLINE 130 PANEL VAN 2.5 TDi ONE OWNER VAN 2007 MODEL M O T , 26 - 06 - 2019 , POWER STEERING REMOTE CENTRAL LOCKING 2 KEYS AIR CONDITIONING SIDE LOADING DOOR TOW BAR , MONDIAL ALLOYS FITTED 6 SPEED GEARBOX DRIVES EXCEPTIONAL ABSOLUTELY ANY TRIAL MAY CONSIDER PART EXCHANGE £5995 NO VAT CALL VANFINDER GLOUCESTER ON 01452 522000 . AFTER HOURS VIEWING BY APPOINTMENT . SJA Vehicle Sales LTD - Call us on 441793689154 or click here to find out more. Volkswagen Transporter 2.5TDi 130PS SWB T28 2008 reg.£5495 PLUS VAT. 1 OWNER WITH SERVICE HISTORY. Range Rover/ VW badge alloy Wheels. Genuine VW quick release double seat professionally fitted in rear. Rare long wheelbase chassis with Tailgate boot. this van has had no expense spared in upgrading almost everything to make a van that drives well, is comfortable, luxurious and looks & sounds great. 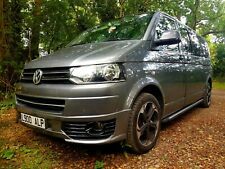 Vw transporter 2.5 t30 130 swb 2009. Bodywork is in immaculate condition. Van was remapped by Clive Atthowe engine tuning! Very quick van! Been used for very light work only. 18" Satin Black Sportline alloys. Sportline front bumper with lights. 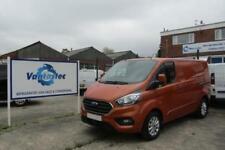 Overall a great looking van with excellent performance capabilities. Interior is in great condition, exterior has minor age related marks & dents. 2014/63 VOLKSWAGEN TRANSPORTER T28 TRENDLINE 2.0 TDI 102 PS-CANDY WHITE-NO VAT!! 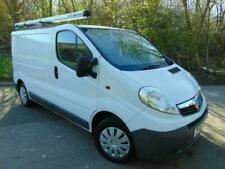 1 OWNER-FULL SERVICE HISTORY-LONG MOT-NICE CLEAN VAN!!! Volkswagen Transporter T6 Highline SWB. 1 Owner From New. Air Conditioning. 1 x Side loading Door. Captain Front Drivers Seat With 2 x Armrests. Rear Parking Sensors with Parking Pilot. The van could be used as it is or would be ideal to convert to a campervan. A TOTAL BARGAIN AT ONLY £6995! It has the rear tailgate with heated glass and rear wash wipe! It has a steel bulkhead with window (removeable) Rear of the van has been be fitted with plylining. 2.0 tdi 5 speed 102hp. The Kombi conversion consists of two single from seats and a rear triple, all in factory place fabric, a factory rear rubber floor mat, full width rear threshold cover and raised kombi side step. SUPERB DRIVE READY TO GO IDEAL FAMILY DAY VAN ?? Immaculate in every way. You’ll struggle to find a better T5 with this spec. Electric folding mirrors. Black powder coated 4 bike rack. 7 speed DSG auto. Auto wipers. Heated screen. Captains Chairs. Arime Garages - Call us on 441792940620 or click here to find out more. This is the Highline model so you get. May p/x cheaper Transporter. 20” wolf race wheels/tyres (under 3k miles). Multi function steering wheel. 66 reg full VW History with only 31k and still has remaining VW warranty until November this year, this has been used as my car so it is immaculate throughout. 51500ml on the clock. 2.0TDI T6 140BHP 6 Speed Gearbox. Air Condition. New MOT 12 months. Bluetooth / DAB Radio, SD USB Slots. Colour Coded Bumpers. Good Tyres.